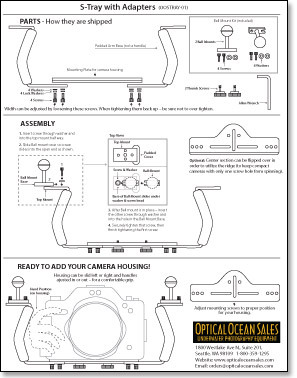 Below you'll find instructions for assembling some of our trays and lighting packages. Assembly may vary with the types of trays, arms and strobes you purchased, but these should guide you in general. You can also refer to the photos of the products on the website.